Owners of Galaxy S3 and Galaxy S4 smartphones from Samsung have been patiently waiting for Android 4.3, with the updates finally rolling out about two weeks ago. But in a new case of bad news, multiple issues have arose for users, which has forced both Samsung and AT&T to pull the updates for the time being. 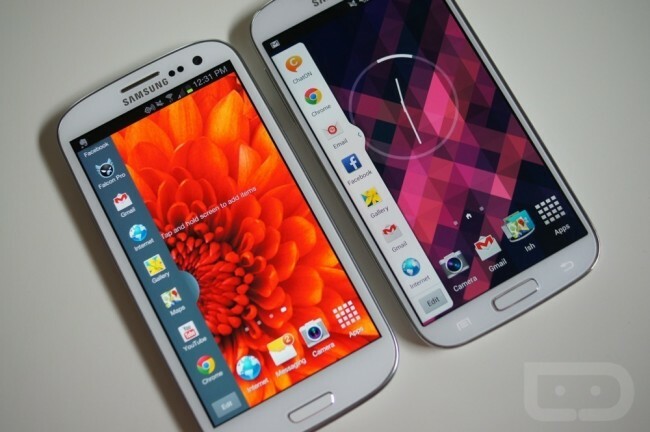 The problems are centered around the AT&T variant of the Galaxy S4 and the I9300XXUGMG9 model of the Galaxy S3, so if you have been mashing your update button, you can stop now. Users of the Galaxy S3 are reporting major bugs in performance, such as random device freezing and wake-up lag, as well as stuttering music playback. These issues have been acknowledged by Samsung, and the company released the following statement to SamMobile in regards to the update. As we are currently investigating the reported issues with Galaxy S3 4.3 Jelly Bean update, the upgrading service has been temporarily suspended. We are committed to providing customers with the best possible mobile experience, and will ensure to resume the upgrading service at the earliest possibility. As for the Galaxy S4 on AT&T, there are no details on the exact issues found in the update, but the carrier chose to pull the Android 4.3 update for now, and has yet to offer an ETA on when users can expect to see it again. While pulled updates are never fun, this is better than Samsung ignoring any major issues and will hopefully benefit consumers in the long run.